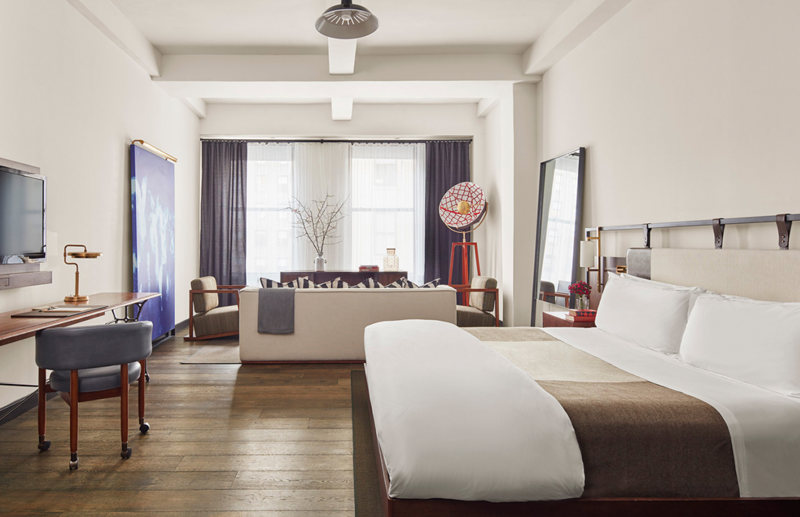 Located in Manhattan’s historic Garment District, the project entails the conversion of an existing 12 story office building at 63 W. 38th Street into the 4 star boutique “Refinery Hotel.” Taking design inspiration from the area’s diverse fashion warehouses and showrooms, The Refinery Hotel will offer guests luxurious, modern accommodations, and feature unique amenities, including the addition of a 13th floor to accommodate the new rooftop bar offering nightlife with panoramic city views. Additional plans for the 197 guestroom Refinery Hotel include all new MEP systems, improvements to utility infrastructure, elevator replacement, installation of “green” building systems, street level lobby, restaurant, bar and retail spaces, and an enlarged interior courtyard. Special attention will be paid to restoration and preservation of the early 20th Century neo-gothic architectural facade and subsequent registration in the New York Historic Preservation Office, allowing for the project to obtain Federal Rehabilitation Tax Credits offered through the program. As the Project Manager, TynanGroup was responsible for coordinating all aspects of the conversion and redevelopment of 63 W. 38th Street; including project planning, design management, construction management, project accounting and FF&E/OS&E management.